Boogie didn't go on air last Sunday--it was Eid and we normally stay off air on the big holidays. Anyways, we're back this Sunday! And On today’s show we feature the second installment of the Chaka Khan 5 album series. The series is now in its second week, and today we present the album Naughty—the second solo album by American R&B/funk singer Chaka Khan, released on the Warner Bros. Records label in 1980. Also coming up in the Airtel-sponsored second hour of the show we’ll bring you 80s Groove n’ Soul tracks… including MASSIVE hits from Melisa Morgan, Loose Ends, Soul II Soul, Phil Fearon & Galaxy and MORE! 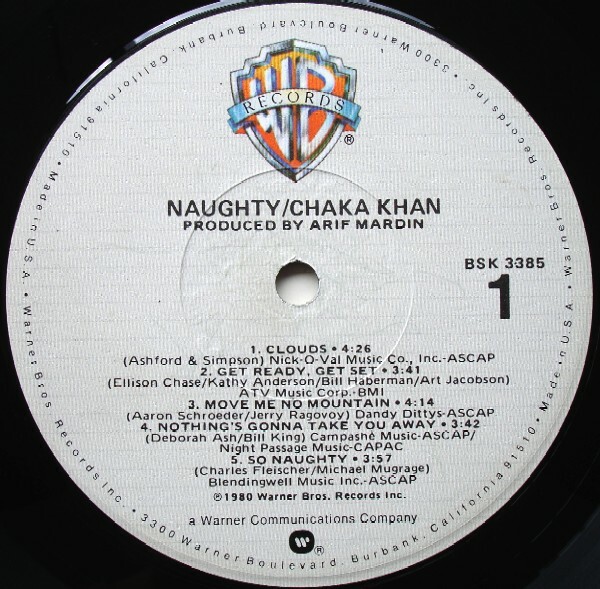 Three singles were released from Naughty: the club hit "Clouds" (penned by Ashford & Simpson who also wrote Chaka's "I'm Every Woman") (US R&B #10), "Get Ready, Get Set" (#48) and the big hit "Papillon (a.k.a. Hot Butterfly)" (#22). "Papillon" featured prominent background vocals from Luther Vandross, Cissy Houston, and her daughter Whitney. On Billboard's charts, the album reached #6 on Black Albums, #43 on Pop Albums. Following the release of Naughty Khan reunited with Rufus for the recording of 1981's Camouflage. Her third solo album What Cha' Gonna Do For Me followed later that same year. Naughty finally saw a United States CD re-release in 1998 as part of the Warner Bros. Black Music Ol' Skool series. I paid a visit to Epiq Bongo Star Search 2012 Auditions in Dar with my own camera crew in tow. I had a couple of reasons for dropping by the event. I wanted to lend support to some of my students who were taking part in the competition, and I also wanted to help contestants prepare for the audition and to scout for talent. I'm creating a boy band, so I'm on the lookout for kids who'll fit the bill. Well anyway, as I went about my day I was mobbed for autographed copies of my comeback single "I Could Never Live (Without Your Love)." Yes, I had at least 200 CDs with my crew when I arrived, but how this frenzy happened so quickly took me quite by surprise. I handed out my business card to one of the contestants and suddenly there were all these hands reaching out for my card. As I shelled them out--and I was running out fast, I decided to sign away a couple of CDs and that's when all hell broke loose. Suddenly, everybody wanted my autographed CDs and the saga continued. It was amazing. By the end of this fracas I'd signed and handed out over 200 CDs. I must say I was quite chuffed. It's nice to be appreciated. And then in the days that followed the calls started to come in from all these kids who'd grabbed my phone number. I'm now thinking of creating a 3-day training workshop to teach these kids the basics of singing. Enough to get them better prepared for the next Bongo Star Search competition. I've found a studio at slipway that's large enough to accommodate a lot of people (my own studio is too small for these numbers). What I need now is a sponsor to fund the event. So if you know of anyone who cares about the community and would like to give these kids a chance to learn their craft, please give me a shout. It's nice to give something back to the community. Singing Lessons: Are You Singing In One Straight Line? 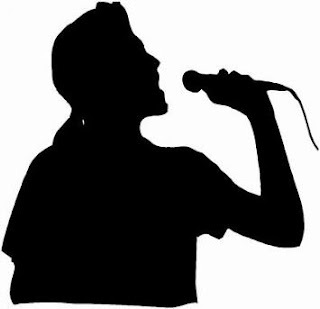 Singing in one straight line is very typical of the untrained voice. To sound interesting when you sing, you’ll want to be able to work your voice around as many highs and lows within a note or a group of notes. Did that sound a bit like Chinese? I’ll explain. Pick a word like Malaika from the song Malaika, for example. And try speaking the word. All is OK? Are you sounding normal like you would when you talk to someone? OK, now switch on the record button on your phone (assuming you have a voice recorder on your mobile) and sing the word Malaika using your speech level, first. Stop and play that back and ask yourself: are you singing on speech level or did you shoot up to a higher octave all of a sudden? Chances are you jumped several octaves to sing Malaika and if that is so, endeavor to work your way down to speech level. Do this exercise again, recording and playing back until you’ve got it right. Going back to the point in this article: are you singing in one straight line? Well, if you don’t use your entire range from speech level upward, you are limiting your range. Hence, singing in one straight line is inevitable because you basically have no room to maneuver. So the next time you’re vocal range is maxing out prematurely, take a look at where you’re singing from. If you’re too high at your lowest end of the scale, take it down a few octaves to where it’s comfortable for you (as you would in speech) and then work your way upward. I hope that helps! I’ve been dying to get this show on the road. Well, it’s here now. Thank goodness for that—delayed a few weeks mainly to allow for systems upgrades at Times 100.5 FM. But now, as the saying goes, it’s all systems go! Kicking off the Chaka Khan 5 album series this weekend is the album Chaka—the debut solo album by American R&B/funk singer Chaka Khan, released on the Warner Bros. Records label in 1978. And I will be featuring this album in its entirety on 70s Disco 80s Pop retro radio show Boogie from 6pm Sunday this weekend, followed by some utterly sensational groove tracks from the 1980s in the Airtel-sponsored second hour of the show. Boogie airs every Sunday from 6pm till 8pm and is sponsored by Airtel, Business Times, Majira and SPOTIstarehe. Still very much an integral part of Rufus, Chaka Khan set the charts on fire with her debut solo release. 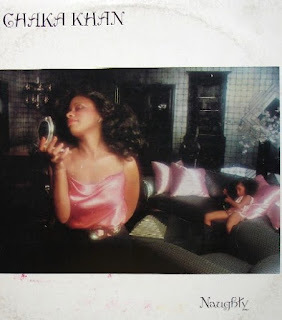 The first single was the R&B chart-topper "I'm Every Woman," an Ashford & Simpson track with Khan lighting up the lyric with her tantalizing vocals. Although Khan had much credibility from her association with Rufus, this album demonstrated that the dynamic vocalist could hold her own ground alone. Two singles were released from Chaka, the first being her anthemic solo debut "I'm Every Woman", one of Khan's signature tunes alongside "Ain't Nobody" (1983) and "I Feel For You" (1984). The song has over the past three decades been re-released, remixed and covered a number of times, most notably by Whitney Houston in 1992 for the soundtrack album The Bodyguard, then featuring guest vocals by Khan herself and topping Billboard's Hot Dance Music/Club Play chart. A remix of Khan's original recording was also a Top Ten hit in the U.K. in 1989. The remix was included on the compilation Life is a Dance - The Remix Project, the title track of which was the second single release from the Chaka album in early 1979. The album also features the ballad "Roll Me Through the Rushes", never commercially released as a single but still receiving considerable airplay in 1979, as well as Khan's cover version of Stevie Wonder's "I Was Made To Love Her", re-titled "I Was Made to Love Him". Following the release of the Chaka album Khan reunited with Rufus for the recording of 1979's Masterjam, produced by Quincy Jones. Her second solo album Naughty—which I will be featuring on Boogie next weekend, followed in 1980. 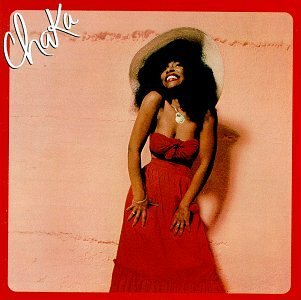 The Chaka album was re-released on CD in the United States by the Warner Music Group in 1998. I paid a visit to the Bongo Star Search auditions at Coco Beach three days in a row (Aug 1,2,3). Yes, I had to partially close down my studio to do this. Phew, there were throngs of people. Quite unbelievable. I had a couple of tasks I wanted to carry out. One was to help out some of my students, one of whom--Salma Mahin--who on seeing me said "I was praying for a miracle and here you are, you're an angel". How sweet of her. She was losing her voice due to a persistent flu, and she hadn't eaten all day. I said "no way!" and sent my PA back to my residence (I live in the area, fortunately) to fetch a 1000mg vitamin C dose to help stabilize her; and a protein shake so she got some nourishment FAST! It all worked out in the end. She was shortlisted in the first round on Wednesday and selected to join BSS 2012 in the second round on Friday. Well done, Salma! Guys, you'd better watch out for this girl. She's a true diva. A very gifted girl and a joy to work with.